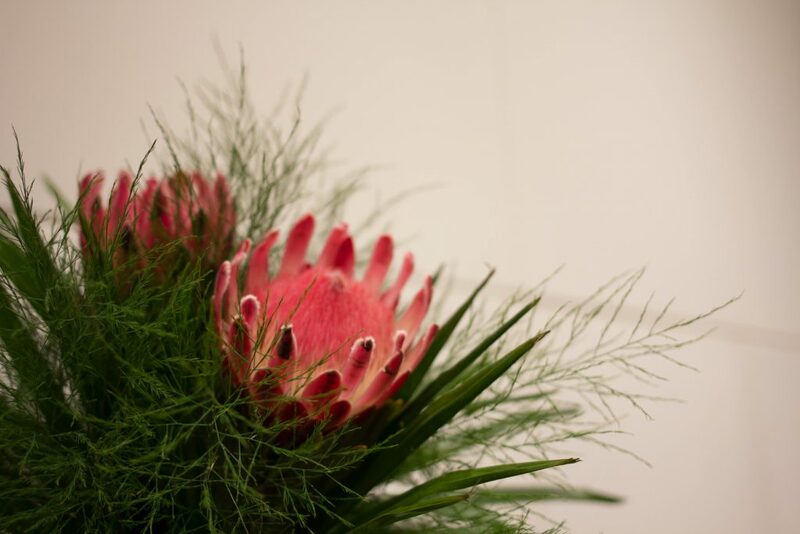 The art of Ikebana, creating forms with cut branches and flowers, traces it origins back to the 8th century when monks began placing flower offerings on the Buddhist shrines. In order to understand the essence or soul of the art, however, it is helpful to go back much further to its ancient roots in the Shinto tradition. It is stated in the early verses of the Nihongi, “The Chronicles of Japan,” that everything has its own voice. The mountains, the waters, the plants, the teapot, everything speaks to us. People who practice Ikebana become continually aware that the many different plants have many different voices. Listening carefully to what they say is the key. Becoming intimate with nature in this way, one grows ever more appreciative of life’s precious moments, which in turn provides focus along with a sense of rest and tranquility. Perhaps this helps explain how, in the 16th century, the art evolved from a strictly monastic practice into a samurai warrior discipline. Doing Ikebana before battle provided warriors sharp focus, and Ikebana afterwards allowed them to express gratitude for another day of life. And now in modern times, Ikebana is practiced by people from every culture around the world. Along with creating beautiful forms, one experiences presence in the moment along with a sense of peace in one’s own heart. Ikebana differs radically from western floral design in that rather than gathering a multitude of flowers into one space and having them speak in a chorus, Ikebana strives to provide each element with a solo appearance highlighting its own unique voice. The idea is to provide a conversation among the various materials used in the design. As with any good conversation, the key word is space. 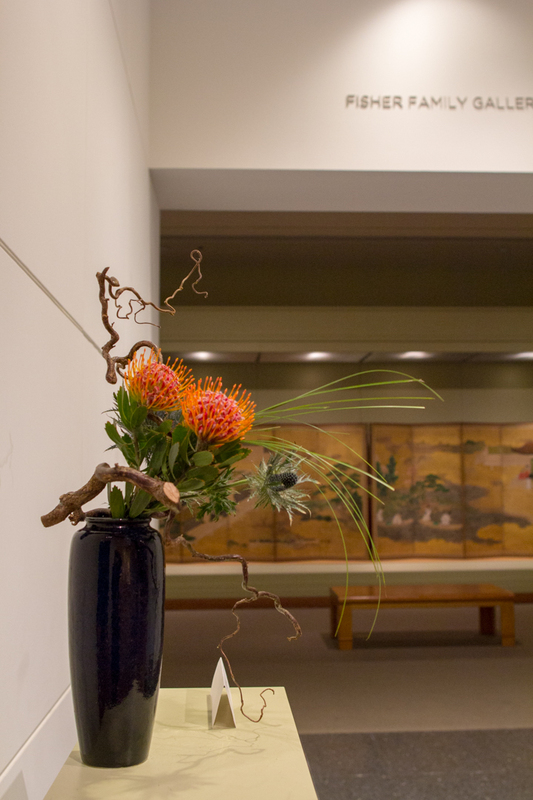 Ikebana is essentially an art of space. Space in which to listen, space in which to speak. When you view an Ikebana piece and you feel drawn in, then the designer has been successful and the work can be considered good Ikebana. Evolving from its traditional classical forms, Ikebana in the early 20th century underwent a similar transformation as did western art. Rather than trying to imitate nature, artists began creating out of their own personal impressions of what they saw simply with their eyes. This has led to abstract expressionism in the art of Ikebana as well. The spirit, the soul of Ikebana, is sometimes referred to as a flowing river whose waters cannot be stopped. It will continue to engender new forms on into the distant future. And this is at it should be. Seattle’s Chapter 19 of Ikebana International, a worldwide organization of Ikebana teachers and students, will hold its 59th annual exhibit downtown in the University street entrance of Seattle Art Museum on the weekend of May 26 and 27. 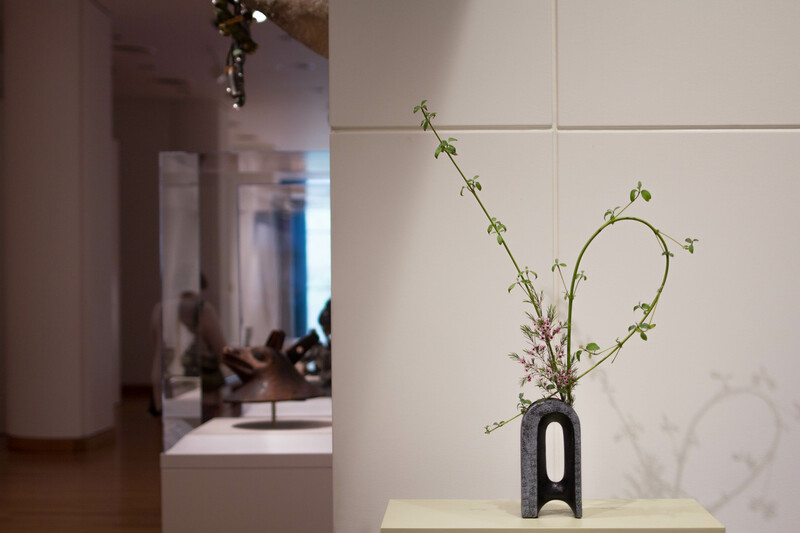 View works from Ikebana’s classical periods as well as its modern abstract expressions along with demonstrations at 1 pm on both days.